He knows it’s coming. He knows his fate the minute his little, blue Siamese eyes squint at the bright white out the window. We throw him out to remind him that there are parts of the world, namely outside in early March, that are cold. 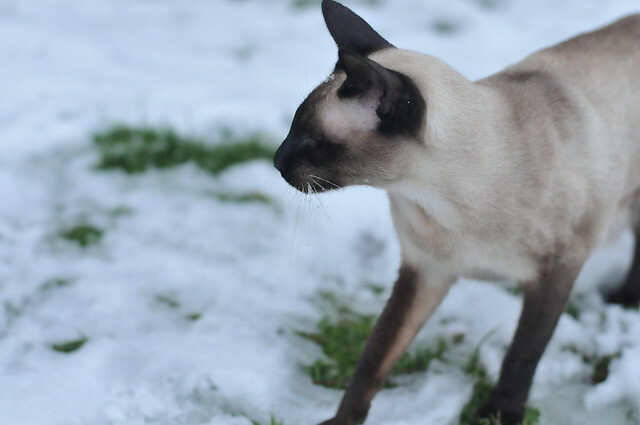 We throw him out to see snow on his whiskers. 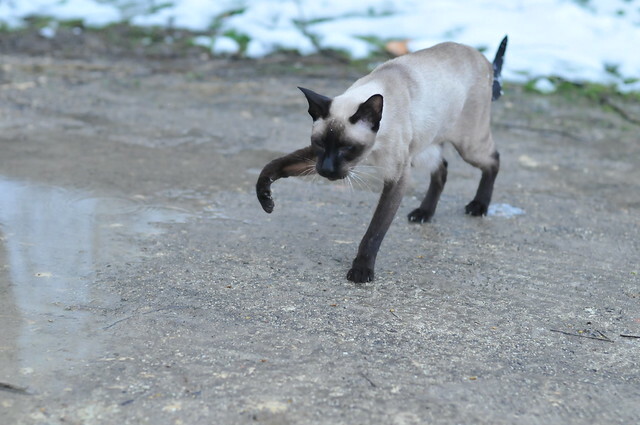 Then he walks straight back in flapping his leg to rid his precious petal paws of that cold white stuff. What doesn’t freeze him, makes him stronger. It’s time to breath some fresh air, Bug. Okay, now back to your station under Fremont the wood burner. And I thought we were going to miss out this year. 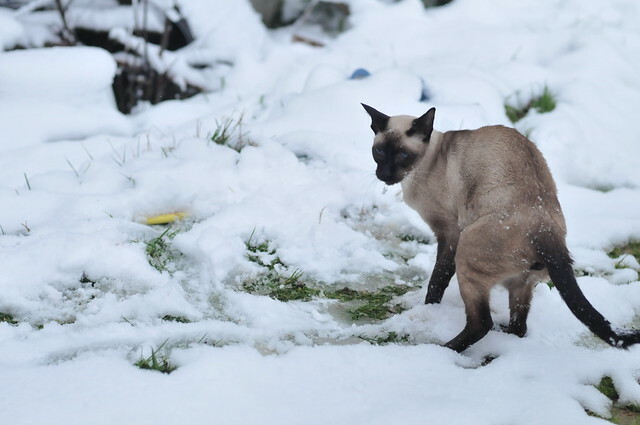 Winter just isn’t the same without The Annual Throwing of the Siamese in the Snow.